Credit: Photo by Valentina Garcia, drawing by Jason Downs. We've all seen "Jurassic Park." We all know T. rex. But what about B. rex? Thanks to a team of scientists from the Academy of Natural Sciences of Drexel University, Delaware Valley University, Stanford University and the University of Chicago, a new rex — Latin for "king" — is in the mix, with the discovery of Bothriolepis rex, a new, giant in the group Antiarchi, which are extinct fish with external, bony armored plates covering their head, shoulders and front fins. The researchers identified the new fish from fossils first discovered in 2000 near Okse Bay on Ellesmere Island in Nunavut, Canada. The site, within the Nordstrand Point Formation, features 370 million-year-old fossils from the Devonian Period, a time predating most dinosaurs by hundreds of millions of years. "Bothriolepis rex extends the range of known body sizes for the group Antiarchi," explained Jason Downs, PhD, a research associate at the Academy and assistant professor at Delaware Valley University. "The large body size and the thick, dense armor present a unique opportunity to address questions about the lifestyle of this unusual group of armored swimmers." Downs was the lead author on the paper officially describing the fish, which was co-authored by Ted Daeschler, PhD, vice president of the Academy and a professor in the Department of Biodiversity, Earth and Environmental Science in Drexel's College of Arts and Sciences. Valentina Garcia, of Stanford, and Neil Shubin, of the University of Chicago, also served as co-authors on the paper published in the Journal of Vertebrate Paleontology. B. rex's size eclipses the previous king of the antiarchs, Bothriolepis maxima. B. rex's body length is estimated at 1.7 meters — roughly five-and-a-half feet long, about 30 percent longer than B. maxima's estimated length. The large, thick plates on B. rex's head were found alongside fossils of other species with thick head plates, suggesting that these were necessary to survive the "stabbing bites of large sarcopterygians," which were predatory fish from the same time period. Despite that armor, the evidence doesn't point to B. rex sharing T. rex's ferocity. "Bothriolepis is a group of bottom-dwelling armored aquatic vertebrates," Downs said. "The flat bottom and the downward-facing mouth suggest feeding on detritus plant or animal material in the mud or sand. It was not equipped for active predation." As such, the heavy, compact bones could have also solved buoyancy issues for a fish that spent most of its time on the bottom. One aspect of the fish immediately challenged the researchers' assumptions. 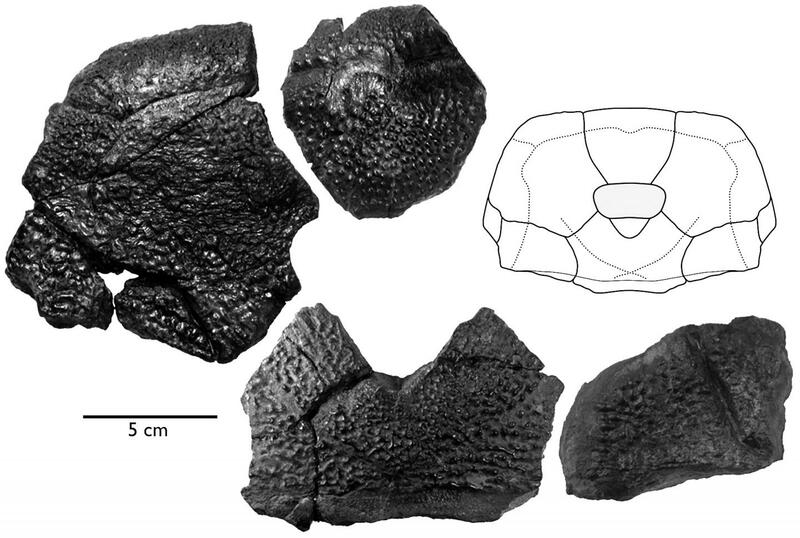 "Skull shape changes with body size in Bothriolepis," Downs said. "Despite the gigantic size of the B. rex, its skull doesn't reflect our expectations for the size. Instead, the skull shape is suggestive of a smaller Bothriolepis." A finding like this could alter the way scientists understand the size-shape relationships in Bothriolepis, according to Downs. Although popular culture tends to think "bigger is better" when it comes to these prehistoric beasts — which is probably why you're much more familiar with T. rex than Procompsognathus — it turns out that size may have done B. rex in. "All antiarchs are extinct by the end of the Devonian Period," Downs said. "We can't know exactly why B. rex went extinct, but large-bodied species are often found to be at a higher risk of extinction than small-bodied ones."